Powerful levels of Omega 6 and Omega 3 fatty acids aid in a healthy skin and coat for dogs, and leading levels of glucosamine and chondroitin foster healthy hips and joints. 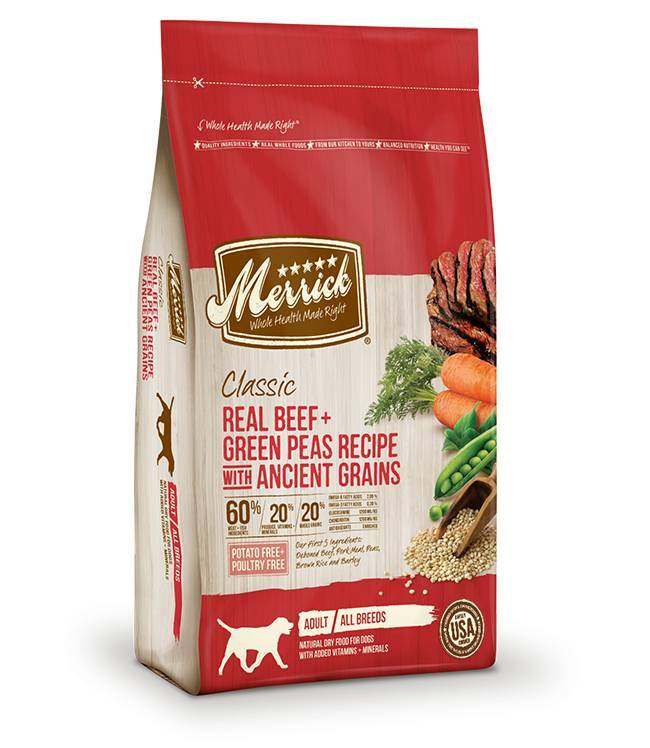 Merrick Classic recipes are safely cooked in the USA in our own kitchen with the world’s best ingredients, with no ingredients from China. Recipes contain no potatoes, corn, wheat or soy ingredients.